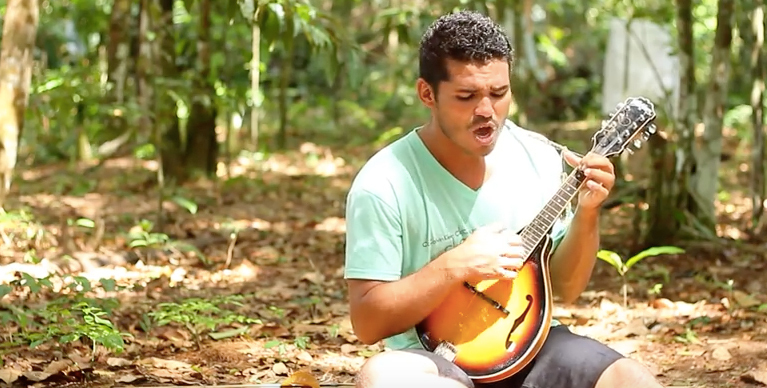 Growing up in rural northeastern Brazil, Wilio Albuquerque never took for granted the roof over his head, perhaps because many of his neighbors didn’t have one over theirs. Wilio grew up seeing what it means to live with less. He also spent a lot of his childhood building with whatever materials he had available. With a deep understanding of poverty and a knack for designing with limited resources, Wilio was the perfect candidate for the International Development Design Summit (IDDS): an intense, hands-on design experience organized by IDIN and hosted by MIT D-Lab. Since childhood, Wilio’s designs have become more advanced, and his products more refined, but he carries with him lessons he learned as a child. “When I was a child, I used to have fun by pretending to be a designer. Now, as a designer, I have fun pretending to be a child discovering the world,” Wilio says. 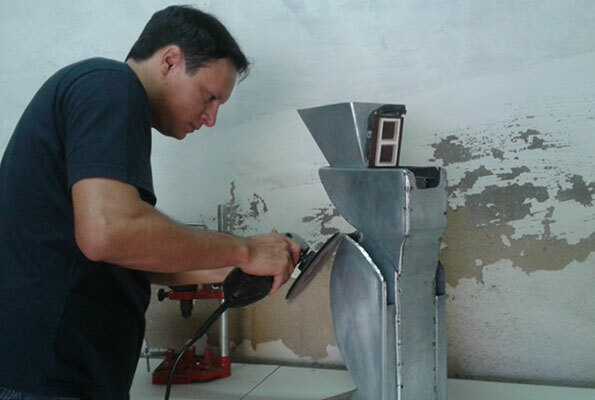 At IDDS 2012, Wilio’s team worked closely with a community called Bairro de Freitas outside of Saõ Paulo, Brazil developing a brick press to produce durable, low-cost, and eco-friendly bricks for personal use. The team’s brick—a mixture of soil, cement, and water—is compacted when wet and gains sufficient consistency and durability for construction purposes. “There are two things that changed my life completely: one was when I discovered design and the second was when I found out about IDDS,” he says. For Wilio, IDDS was a transformative experience. He points to working with diverse teams and designing hand-in-hand with local communities as his key learning experiences. After IDDS, Wilio returned home and continued to work on the brick press, focusing on making it as simple and efficient as possible. He received two microgrants from IDIN to continue his work in Bairro de Freitas as well as his own community. Unlike most brick presses, Wilio’s press can easily fit in the trunk of a car. 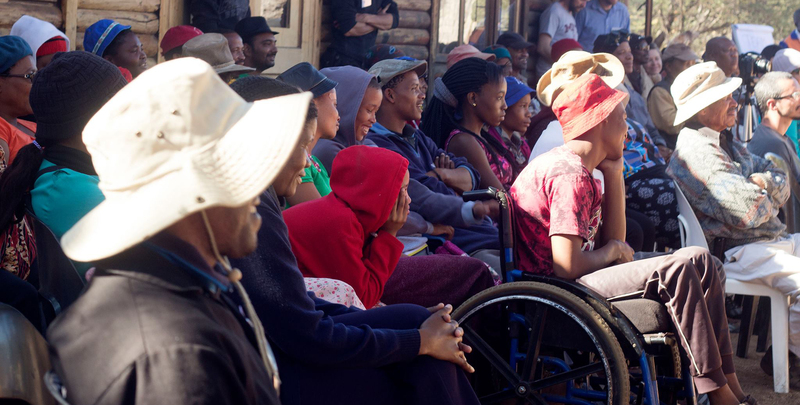 Affordable and accessible, the brick press has the potential to provide many families with safe, affordable housing in Wilio’s community and around the world. Safe, reliable housing represents dignity, pride, and stability for families and children. It means better health, increased security, and better prospects for keeping a job and staying in school. The United Nations estimates that more than 827 million people live in urban slums. It’s a big number to wrap your head around, but doesn’t even include the additional people living without proper shelter in rural villages like the one where Wilio grew up. These are the kinds of challenges that drive Wilio’s passion in his work. He studies as a product designer at the Federal University of Campina Grande and is an active member of his university’s Sustainable Development Design Group. One day, Wilio hopes to start a business marketing the brick press as a tool for building affordable homes around the world. His brick press has received attention in the United States and throughout Africa. He’s even a bit of a star on YouTube, where his videos prototyping to Guns n’ Roses’ “Sweet Child O’ Mine” give viewers a peek into his workshop and day-to-day work in nearby communities. To Wilio, the most important message gleaned from his experience as an IDIN Network member, IDDS participant, and designer is that everyone, everywhere has potential to make his or her mark on the world. Wilio is one of hundreds of incredible IDIN Network members around the world. Read more about innovators like Wilio here.